The UK housebuilder got in a mess because it couldn’t legally peg back departing CEO Jeff Fairburn’s ballooning incentive scheme. Remuneration committees need a way to block inflated pay to prevent hits to their reputations. Otherwise other groups will have theirs shredded. Builders construct modular Space4 homes on a Persimmon development in Coventry, February 22, 2017. Picture taken February 22, 2017. 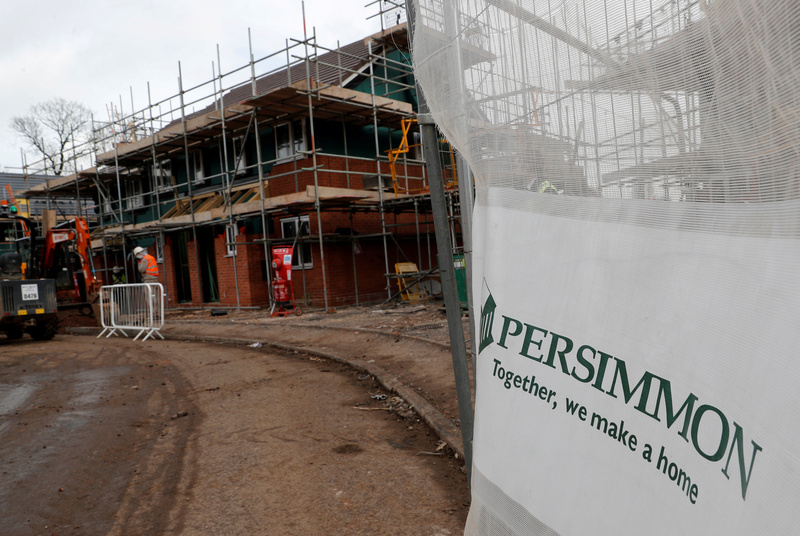 British housebuilder Persimmon said on Nov. 7 its chief executive is to step down after the board said criticism of his multimillion-pound bonus was a continuing distraction that had hit the company’s reputation. Jeff Fairburn was the highest-paid FTSE 100 chief executive in the financial year ending 2017, receiving 47.1 million pounds ($62 million), more than 20 times his pay in 2016, largely due to a long-term incentive plan dating back to 2012. Fairburn, who has been in the business for 29 years, is due to leave the company on Dec. 31 and will be replaced on an interim basis by Group Managing Director David Jenkinson while the board finds a permanent successor. Persimmon also released its third-quarter trading statement on Nov. 7, which showed sales were up 3 percent year-on-year. Persimmon shares were up 0.34 percent at 23.64 pounds by 0832 GMT on Nov. 7.